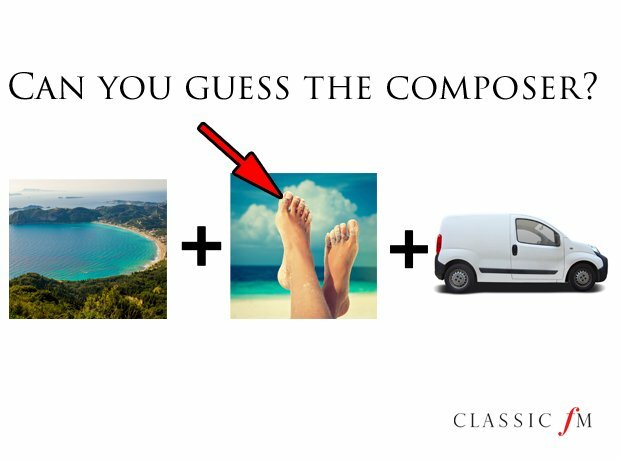 Can you work out the name of the composer from a set of picture clues? 1. Can you guess the composer? 3. Can you guess the composer? 5. Can you guess the composer? 7. Can you guess the composer? 9. Can you guess the composer? 11. Can you guess the composer? 13. Can you guess the composer? 15. Can you guess the composer? 17. Can you guess the composer? 19. Can you guess the composer? 21. Can you guess the composer? 23. Can you guess the composer?